There’s nothing ordinary about Russia and that also goes for its traffic situations. 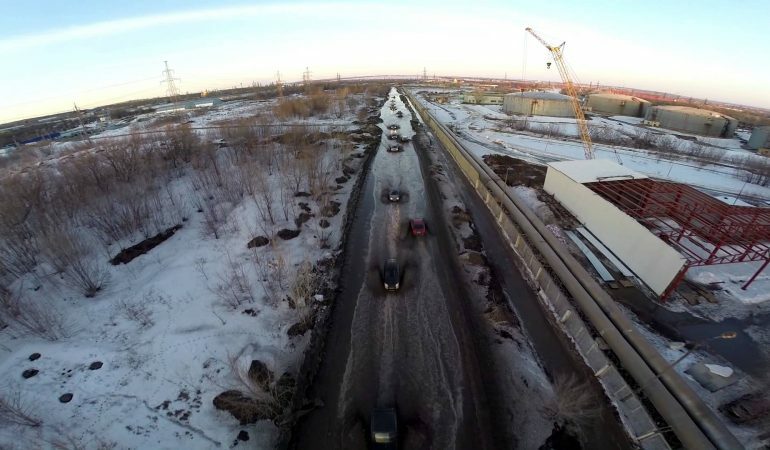 In addition to crazy kamikaze scams and just plain reckless drivers that occupy the roads of their cities, Russians also make use of rivers as nature-made highways, not only for logging operations in Siberia wilderness but also for the pure fun of it. But as it turns out, the experience of driving through the river is apparently completely normal in everyday city commute. Here’s a fantastic clip from Samara, where drivers don’t even think twice before getting that shortcut through the street that’s completely submerged in meltwater. This 1955 Ford Thunderbird T-Bird Custom Restomod Is Absolutely Beautiful!